This is a large model measuring 5’-10” with the loading ramps in the down position. It is 11” wide. It comes in three sections: The Tractor Unit (2’ -3” long), the “Dragon Wagon” trailer is 3’ – 5” long and the Sherman Tank is 2-2 long. The tractor unit has two motors. The smaller one drives the front steering and the bigger one the master gearbox. This is 4 speed gearbox with an additional gear box behind it to give high and low ratios. These drive the front and rear bogies through a series of differentials culminating in a chain drive to all four rocking axles. There are also two winches fitted at the rear and these are also driven through the gearbox. The 5th wheel can be raised and lowered as well as being locked for transportation. There is a lifting framework around the 5th wheel that enables additional cables to be fitted for loading The two bogies are connected together by a swan-neck and the framework around it carries the cabin. The model is also fitted with lights. The whole package is controlled from an external control unit that is run off a 12 volt supply. The “Dragon Wagon” trailer is fitted with two axles fitted to rocking arms allowing it to be driven over the roughest terrain. These wheels are not motorised. The loading ramps are manually operated and held in place by chains at the rear. The Sherman Tank is basically a big box driven by heavy duty tracks. These tracks are home made and are very robust. They are driven from Sprockets at the front. The turret rotates and the gun can be elevated. There are lights on the front and back. The main driving motor is at the rear and drives a four speed gearbox through to a differential to the front sprockets. The model comes with its own control panel allowing the operator to lock the tracks either left or right, elevate the gun or rotate the turret and operates the lighting. It would be powered by a 12 volt supply. The RMG Auction Meeting is to be held on Saturday 2nd February 2019. More details will follow in the Meeting Reminder Notice shortly, however I would like to highlight one particular Lot of special interest, which will be featured in the sale. John MacDonald's Sherman Tank was featured fairly recently in the RMG magazine, and of course Nick Rodgers produced his own version of the model while he was in the process of writing the article for it. The tank itself is just half of the complete model however, the other half being the "Dragon Wagon" Tank Transporter seen in the photo above. This fabulous machine will be described in the forthcoming magazine issue, and we can look forward to a complete review of its features when this is published. Imagine if you can, the fearsome Sherman Tank sitting on this supremely robust trailer, and hauled by the Monster tractor Unit at the helm. A full 5 feet long, (5 1/2 feet with loading ramps extended) The complete model commands considerable awe, and it fully represents the modelling prowess of it's designer and builder, John MacDonald. The Auction Lot is the complete model, Tank and Transporter together. Such a model will no doubt be highly desirable, and it is looking for a new home with a kind and loving owner! Could that be you ....?? If you think so, please be sure to attend the auction and be ready to do (Tank) battle and win your coveted prize. The stage is set, and the battle lines drawn...who will triumph as the sun sets on the Battle Arena of Chertsey Hall! For info, RMG issue 98 is now at the printers, we are just waiting for the proof copy for final approval and we are then ready to go! It won't be long now. While we are on the subject, we are only 6 months away from the 100th Edition and we really would like to make this a bumper issue in celebration of a landmark occasion. The editor is of course always asking for material, articles, news, reports, etc to fill all editions of the magazine, but PLEASE PLEASE PLEASE where-ever you are in the world, we would love to hear from you and feature you and/or your models in this Historic Edition of the Magazine? So get your writers caps on, and start scribbling!! Please send all your offerings to the Editor Nick Rodgers. REMEMBER - THE MAGAZINE IS ABOUT YOU AND YOUR MECCANO! Breaking News on the availability of Konkoly Model Plans! so (for the time being at least) we are able to supply a full set of volumes from 1 to 18.
a few of the later volumes are also running low on stock. Check details in the shop. 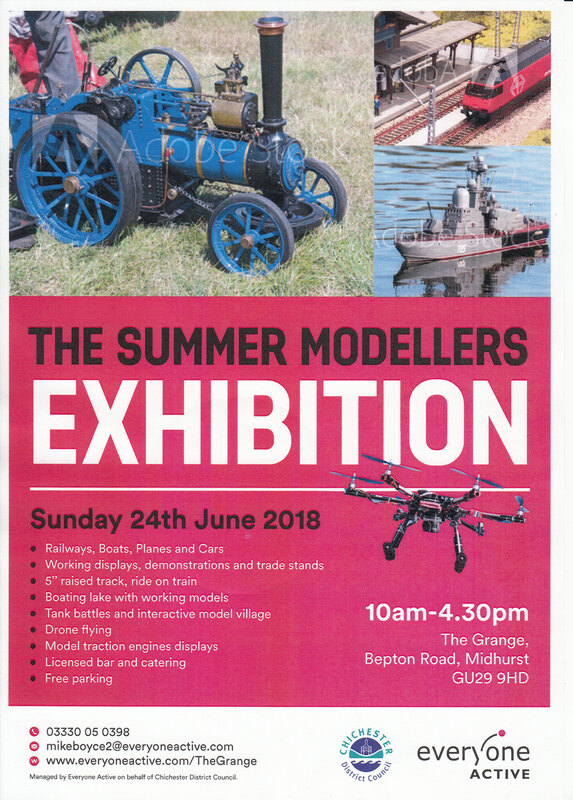 I'm sending this to people I've noted as expressing possible interest in exhibiting at Marvels of Meccano this year, and I'm hoping to reach a wider audience this way. Some interest may have been more definite than others, but please forgive an exhibition organiser for trying to tempt you. Also happy to discuss arrangements by phone. May I apologize once again for the delays in getting the latest magazine issue out to you all. A few members have complained, and this is quite understandable, and very regrettable. However I can now report that the draft is at the printers as I type, and we expect to be able to ship them out imminently. The editorial includes an explanation of the reasons for the difficulties, and we sincerely hope that we can get back on track next time. For many years the Guild has been exhibiting at the Midhurst Model Engineering Exhibition held in February. This year, they have decided to add a summer show when they can include more outdoor activities including train rides, boating lake, tank battles and drone flying. All this and more, in addition to the usual indoor displays. That's the good news; the bad news is that it clashes with the SkegEx weekend. I know that many of you don't normally go to Skeggie, so the question is would you be willing/able to pitch up a display at Midhurst instead? We will have the same arrangements as usual, with the squash court and room for 10 or 12 tables (6ft) and Frank Paine's slot just outside (the squash court). If you are interested in taking part, details can be found in the attached poster (see link below), and please can you let me know as soon as possible? If you have any questions about this event, I'll be happy to answer them if I can. Hi folks, just a short note in case you're wondering where the next magazine has got to. There have been a number of adverse factors which have contributed to the delay in producing issue 96, however I am pleased to report that the draft has now been sent to the printers and we should therefore be able to get them sent out to you within the next couple of weeks. Thank you all for your kind patience; please bear with us just for a short while longer. I'm getting a few concerned e-mails about recent order notifications which are causing some confusion. Nothing to be alarmed about. When orders are processed (by me) an automatic message is sent to let you know. With Subs orders I normally wait until the first magazine goes out before I process them en-block, so in many cases this is months after the order was placed. All the best, and Merry Xmas! Have your Meccano (or other) magnets lost their attraction? Do you need more pulling power? Simon has this amazing gadget that will re-align any wayward atoms in your magnets, and restore them to their former glory.